Dil Dosti Dobara is a sequel to the hit Marathi serial Dil Dosti Duniyadaari which was a huge hit on Zee Marathi. 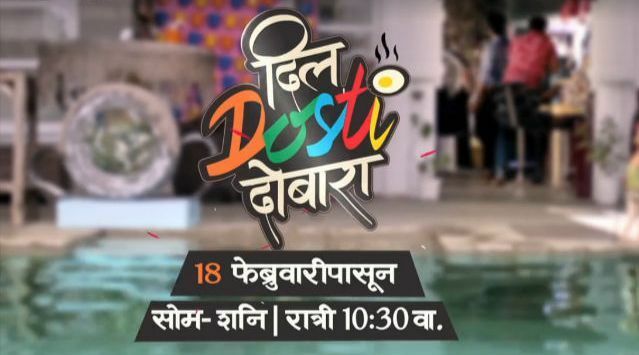 Recently the production team of Dil Dosti Duniyadaari has confirmed to the reports that the show’s sequel will be going on air soon on Zee Marathi. 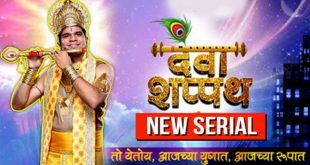 Previously there was a video that showed the makers of the show telling the actors that they have decided not to bring out a sequel to the show owing to certain reasons. Later it was revealed that it was a prank on the actors. The latest news report says that the show will begin from 17 February 2017. The promos of the show have been released. The promos show actors Suvrat Laxman Joshi and Pushkraj Chirputkar in a hotel set up. This campus comedy based on the lives of a group of friends will be directed by Adwait Dadarkar. The Dialogues will be written by Abhishek Khankar. The makers will be retaining the cast of the show which had become very popular with the audience. The cast includes Amey Wagh, Suvrat Laxman Joshi, Pushkhraj Chirputkar, Sakhi Gokhale, Pooja Thombre and Swanandi Tikekar. The show will be telecasted from 17 February Monday to Saturday from 10.30 P.m. The story and the characters of Dil Dosti Dobara have obviously taken a leap on the show. The audience will be seeing them with the same flavors but will have them progressed in life. The entertaining story of six friends living as paying guest in Mumbai had hit the right chords with the audience. The show was highly successful on the Zee Marathi and was concluded on February 2016. Since then there have been rumors whether there will be a sequel to the show or. Finally the rumors are laid to rest and the fans of the show can heave a sigh of relief.